Do you need to be in the picture? In our world of instantaneous gratification, its interesting to see how we’re documenting what we see when we travel. We know we can see so many things via Google Maps, television and the web, but does that prevent us from going places – to see them with our own eyes? In fact we’re all about going out there, and documenting everything we see. But do we always need to be in the picture? For so many of us, its only real if we’re in the photo – if we put ourselves in front of a sign, attraction, natural landmark or building. But for me, I’m not one of those people. Its not because I don’t like my photo taken ( I don’t mind) but I wonder about the need to be in the photo. I also realize that I don’t need every photo – which seems like a contradiction for someone who constantly takes photos while on the road. But as a typical freelance journalist – its not about me. I’m trying to show others what I’m seeing, experiencing, finding out about – so that means, I don’t need to be in the picture. 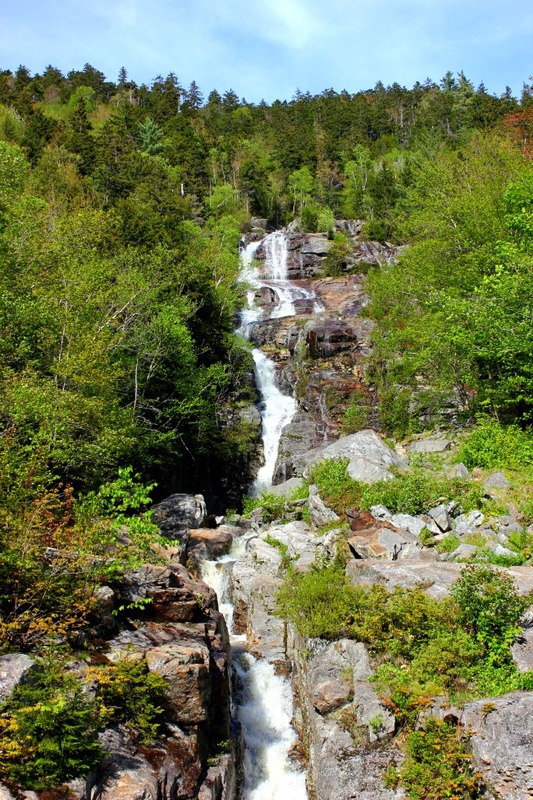 I want to show others what my eyes are seeing, so when I see that pretty waterfalls on the side of the road in New Hampshire, the rushing water flowing down from far above in the White Mountains, that’s what I want to show you. I’m sure you can wait to see a photo of me – there’s a cut out coming soon….